There are three types of skin burns, including first degree, second degree and third degree burns, and care for each type of burn varies. A first-degree burn is also called a superficial burn or wound and affects the first layer of your skin. 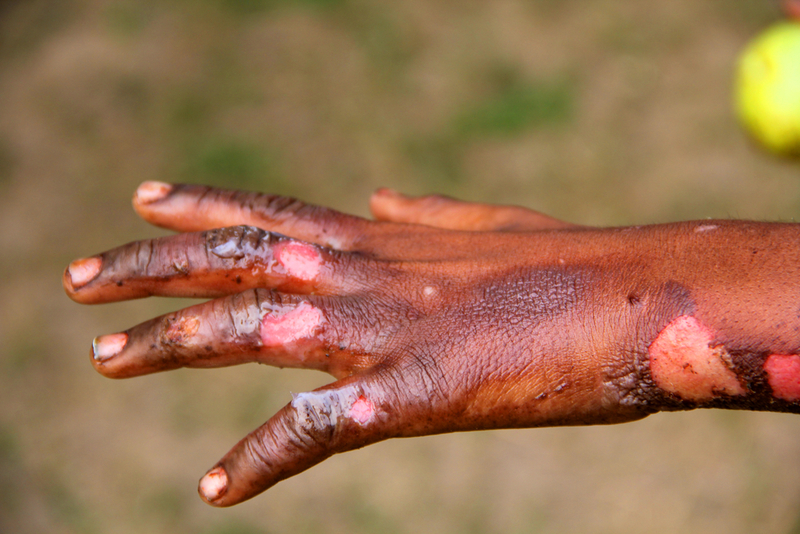 First-degree burns are one of the mildest forms of skin injuries, and they usually don’t require medical treatment. Take frequent cool baths or showers to help relieve the pain. Use a moisturiser that contains aloe vera to help soothe the skin. As the skin heals, it may peel. Additionally, it may take 3 to 20 days for a first-degree burn to heal properly. Healing time may depend on the area affected. Always consult your doctor if the burn shows signs of infection or becomes worse. Second degree burns are more intense and result in more damage to the skin compared to first degree burns. Second degree burns produce blisters and typically cause the surrounding skin to turn white when it is pressed on. This type of burn affects the deeper layer of the skin called the dermis. If your skin blisters, allow the blisters to heal. You should not pop the blisters, as blisters form to help your skin heal and protect you from infection. Keep the area as clean as possible. A third degree burns is a major injury that affects all layers of the skin and can make the skin look brown, black, or white. One indication of a third degree burn is that nerve damage can cause the affected area to feel numb. This type of burn will not heal without medical intervention.